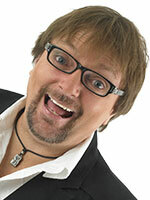 CJ Johnson - Hypnotist and Game Show Host Talks Business! CJ Tells us a story about a mishap he had involving a cell phone and what he thought was a telemarketer that cost him a gig. Relationships. If wealth be measures in friendships, CJ is the richest man in the world! • Work harder than anyone else. • Figure out how you can make things scaleable. • Take care of the people that work for you. • The longer you’re in business, the easier things happen. • Maintain good relationships the people you do business with. • Call to check in with your business connections (clients and business partners alike) in genuine ways. (Congratulations, birthdays, etc). • Every one of his “big breaks” has come from a relationship with someone. • How important it is to have a supporting spouse. • He did what he could to be home for family, even if it meant buying a plane ticket. • Had an offsite office. • Ate dinner with family every night he was home and NEVER had the TV on during dinner. • Capitalized on every opportunity to be with his family. How Does CJ Differentiate Himself? Having a clean show and being day to work with. What’s been CJ’s Biggest Professional Challenge? • Work hard, be nice. • Never underestimate what you can learn from other people. • When you’re at a magic convention, quit posturing! Proven techniques to succeed in the entertainment business! 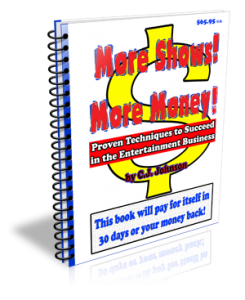 If you charge people money for shows – or would like to. This book will pay for itself in 30 days or C.J. will give you your money back. These are real world tools and techniques that C.J. has used to make an exceutives salary for the past 20+ years. Note: I don’t get any reward or kickback for recommending this book. I also don’t personally own it but have only heard great things about it. 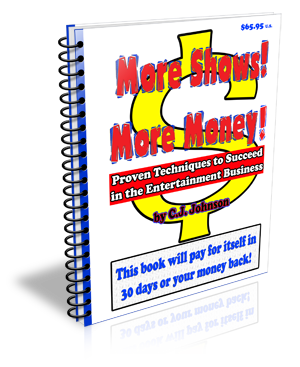 If you decide to buy it, please be sure to tell CJ you heard about it from the Successful Performercast. Digital Juice – Stock graphics, video, music, and animations. Flipping Typical – A way to explore the popular typefaces you have on your computer. Where can we find CJ Johnson? ← S3E8: Nick Lewin — Talks Corporate Magic!